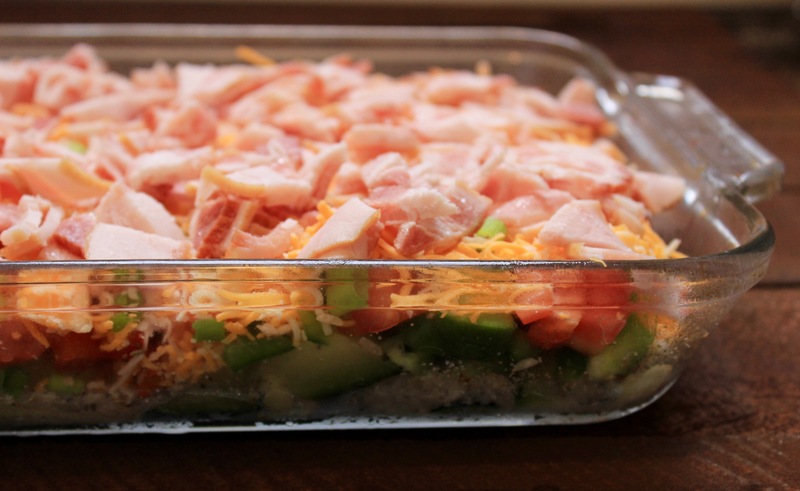 This has been my go-to casserole this summer on busy days and I haven’t gotten tired of it yet! 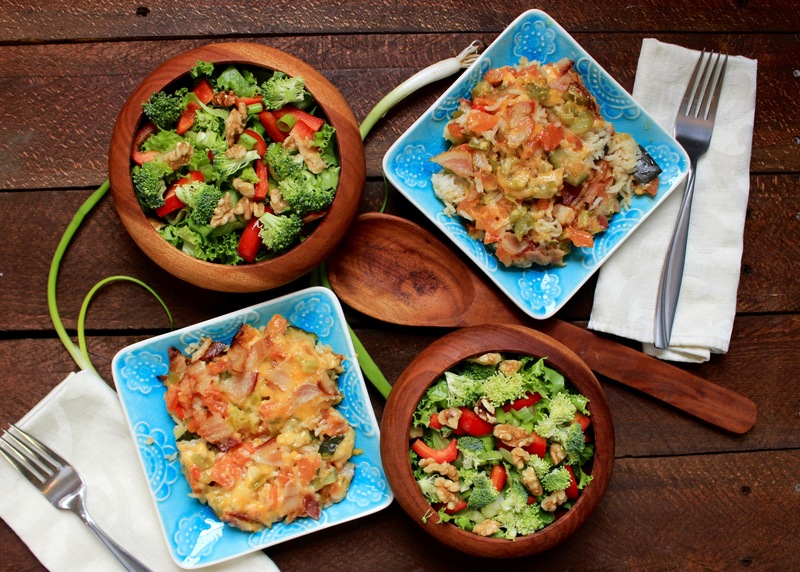 Its filled with so many delicious summer, vegetables and is a snap to put together. You can serve it solo or I like to serve it with Grilled Chicken and a lettuce salad. I froze zucchini in chunks simply for this recipe so that I can keep the taste of summer just a little bit longer. I revamped it a bit and turned up the heat. I like spices. Maybe a little too much. I just love the flavor the jalapeños bring and all the extra spices give it so much flavor! This was yesterday…. my little boy is growing up too fast! 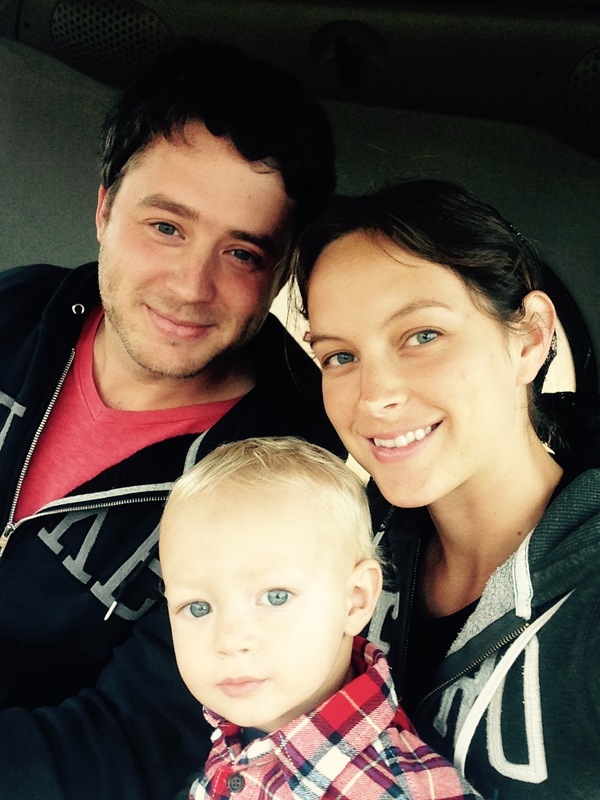 He’s a farmer boy already. 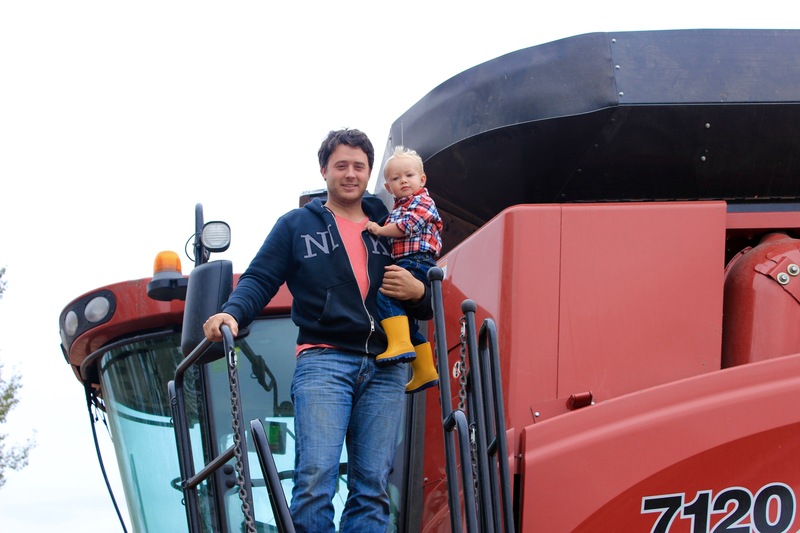 We spent 4 hours riding with Stan on the combine and he was wide-eyed the whole time, loving every minute! We’re a happy little family. Thought I’d say that just in case you can’t tell. That’s my man operating the harvester! He’s a pro. It makes me so happy to see him doing what he loves most. Somehow he got farming in his blood. 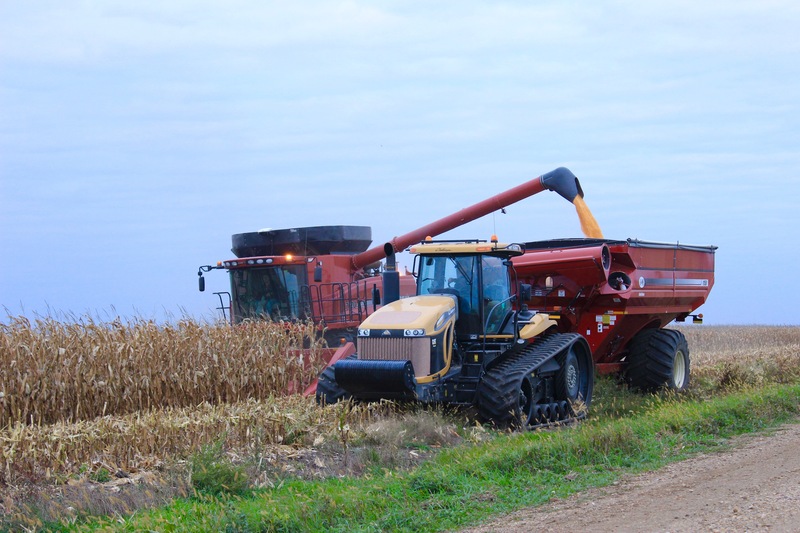 The days are longer when he’s harvesting because he puts in a lot of hours. So this is what I do while he’s gone! 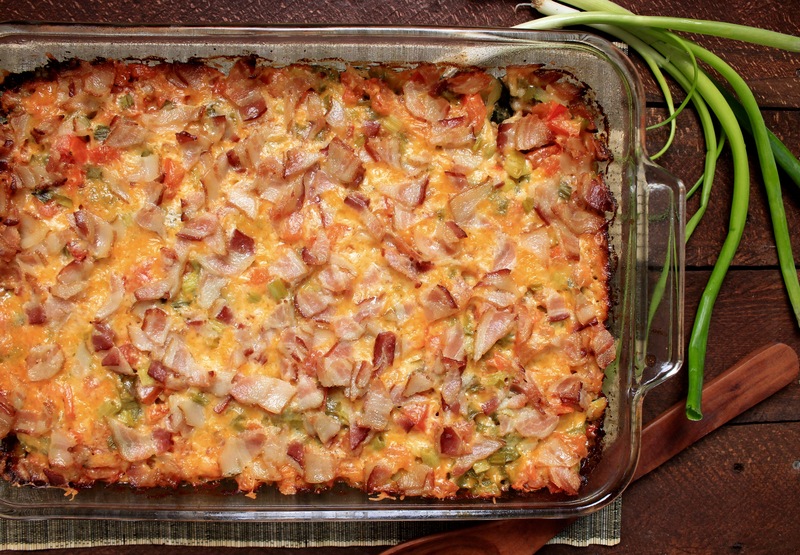 I make my favorite casserole and invite my widow-friend-neighbor-lady over for lunch! She cleans our church every Monday morning so I figure the least I can do is have a hot lunch ready for her when she’s finished! We both enjoyed it so much that we ate half the pan. No lie. Below are a few step-by-step pictures and the recipe. Grease a 9×13 baking dish. 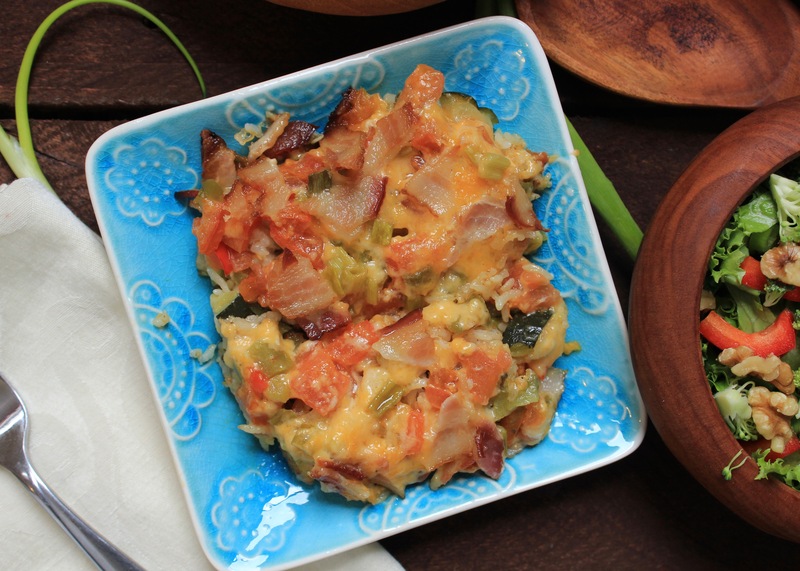 Cut zucchini into chunks and place in bottom of dish. Cover with white rice and sprinkle with all the delicious seasonings. 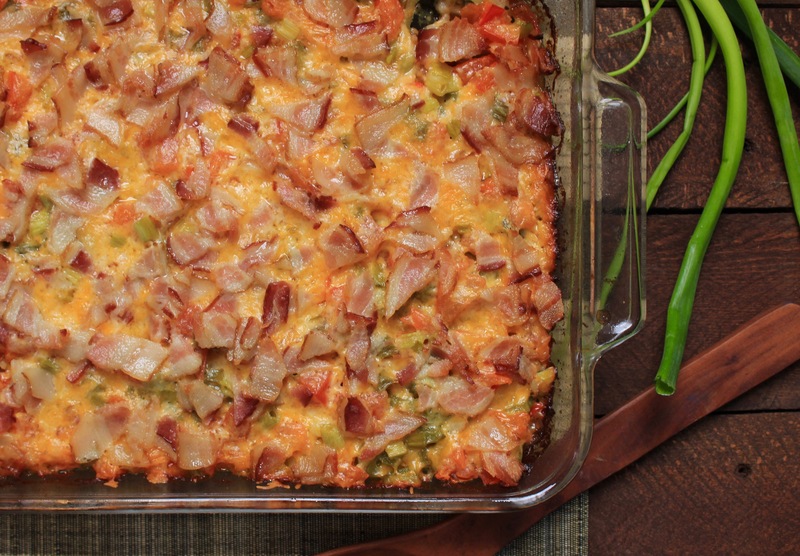 Sprinkle with a generous amount of cheese and sprinkle with lots of chopped bacon. Cover and bake. Serve it up and enjoy! 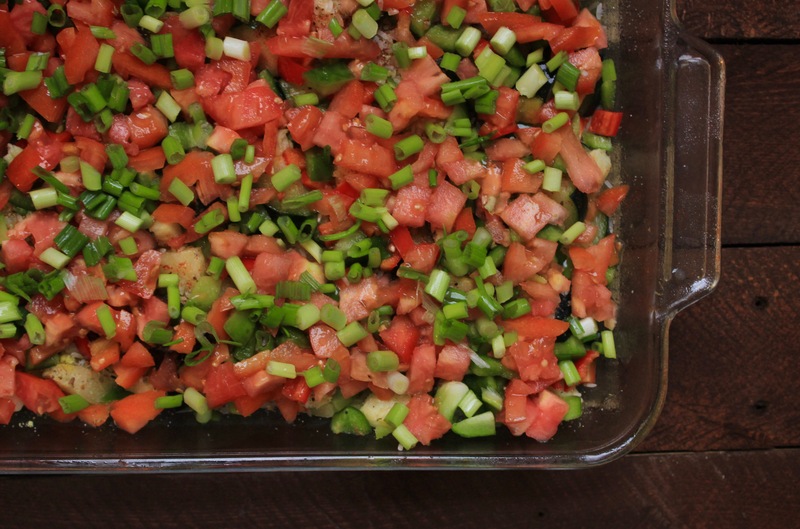 Serve with your choice of lettuce salad, grilled chicken, etc. Grease 9×13 pan. Preheat oven to 350º. Cut zucchini into bite sized chunks. 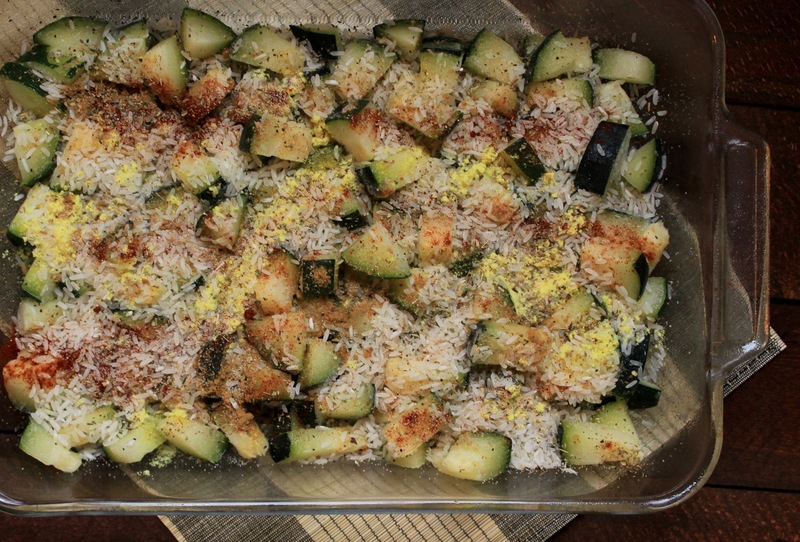 Cover bottom of pan with zucchini and then rice. Sprinkle with seasonings. Dice vegetables and layer over rice. Sprinkle with cheese and top with bacon pieces. Cover with foil and bake for 1 1/2 hours or until rice is soft. Remove from oven and let set 5 minutes before serving. This is great idea!!! I should try but I have a question. Do you use dried rice which is no wash or no soak water? Yes just dry rice! It’s the simplest thing ever. Monica how does your recipe compare to this one? Anything else you add? Joy, I made this recipe last evening and loved it. I did add cup of water and baked it for two hours when the rice was still hard and dry after an hour. Maybe I didn’t have enough vegetables. Anyway we really enjoyed the finished product. Michael has been wanting me to cook more Mediteranean style and I realized after I made it how well it fits in that category. I really enjoy this blog and am so glad that even when we move I can still, in a small way, stay in touch. You asked what some of our favorite Fall recipes are. I have a recipe for glazed apple bars that I really like to make in the Fall, or anytime for that matter. Maybe I can give you the recipe in person sometime.